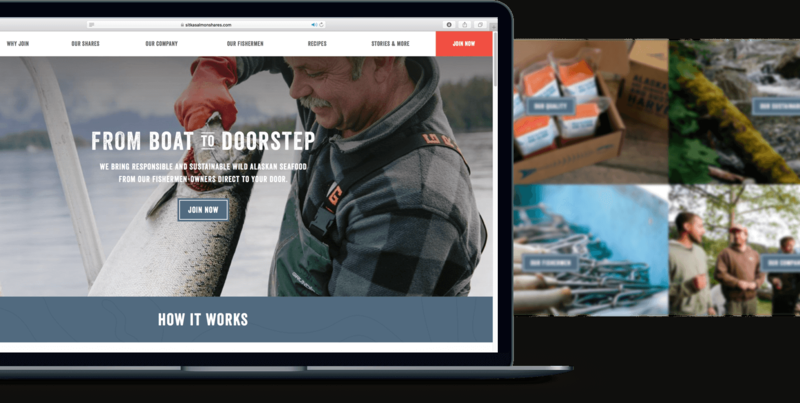 Sitka Salmon Shares is a boat-to-doorstep company that harvests, processes, and delivers sustainable, fresh-caught wild Alaskan salmon to customers throughout the United States. Sitka came to Silverback to solve issues. First, a significant portion of website users were exiting without completing a purchase. Second, Sitka was concerned in pathway to pay-in-full purchases was difficult for customers to navigate. Silverback ran extensive UX audit, including in-person user testing, to ascertain site issues. Our solutions to the problems we ID’d included fixing all broken functionality, providing more intuitive CTAs, adding engaging site features to maintain user attention, streamlining the path to purchase and offering a branded checkout page to promote user trust. The results were immediate. In the three months following implementation, conversions increased — on average — 370 per month versus totals from the previous year. The monthly conversion rate increased by 36%. Best of all — total Y-o-Y sales were up by 107 percent, creating over $390,000 in new sales revenue.